You've requested it and it's finally here! 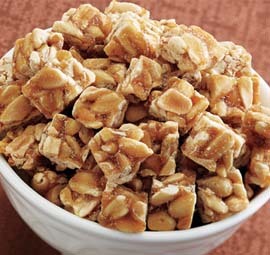 This all-nut brittle has Jumbo Cashews, California Almonds and Virginia Peanuts with hints of vanilla and bourbon. 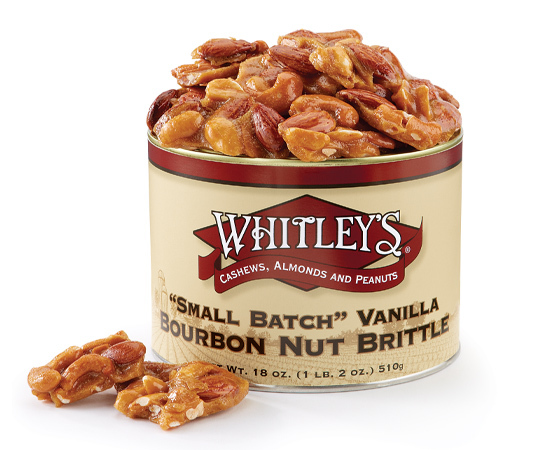 Ingredients: Sugar, Dark Corn Syrup (Corn Syrup, Refiners Syrup, Caramel Flavor, Salt, Sodium Benzoate (used to protect quality), Caramel Color), Peanuts, Cashews, Almonds, Water, Bourbon (1%), Butter (Pasteurized Cream, Salt), Vanilla Extract (Vanilla Bean Extract in Water and Alcohol (41%)), Sodium Bicarbonate. What an impressive application of spirit! 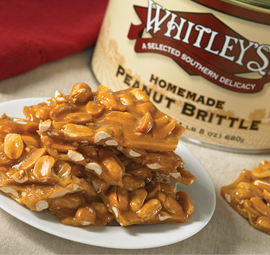 The charm of this brittle is clear on the very first bite. 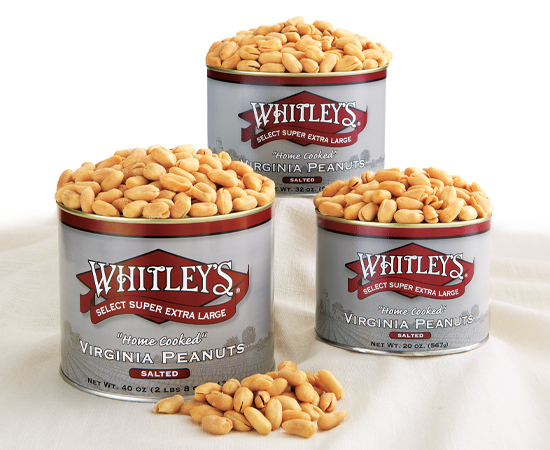 Whitley's lets the nuts do the talking. The bourbon then kicks in on the aftertaste, savory and possibly even oaky if it's not just in my head. My dad (for whom I bought this as a gift) is the brittle expert rather than me, and he's super pleased as well. 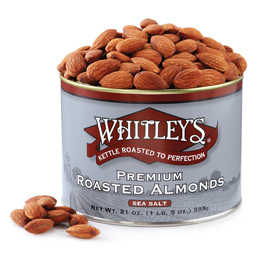 Based on this product alone we love Whitley's grounded and reasonable approach to sweet treats. It's priced the way it is for a reason. 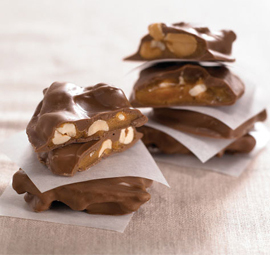 I must try a chocolate-covered one next!